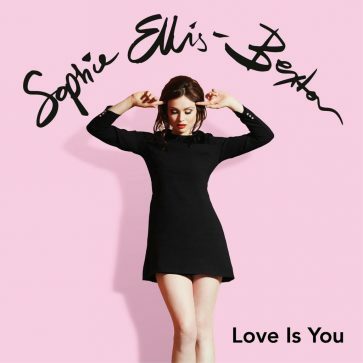 Sophie Ellis-Bextor has released her new single ‘Love is You’, taken from her forthcoming Orchestral Greatest Hits album, The Song Diaries. The upbeat and glittering Studio 54 inspired single is a cover of Carol Williams’ disco classic, featuring the original sample from Sophie Ellis-Bextor’s hit with Spiller ‘Groovejet (If This Ain’t Love), recorded at RAK Studios and produced by Biff Stannard and Ash Howes. Sophie’s Orchestral Greatest Hits will be her seventh studio album and is the follow-up to her recent album Familia and previous record Wanderlust, both of which charted in the Top 10 and marked a change in musical direction for her. With six Top 10 singles over her 21-year musical career, she is returning back to her original disco roots on The Song Diaries, which will feature her biggest hits, but not as you’ve heard them before. Singles such as ‘Murder On The Dancefloor’,’ Take Me Home’ and of course, ‘Groovejet (If This Ain’t Love)’, which was the most played record on UK radio between 2000 and 2010, have been re-worked with grand orchestral arrangements to create brand new versions of her well-loved songs.